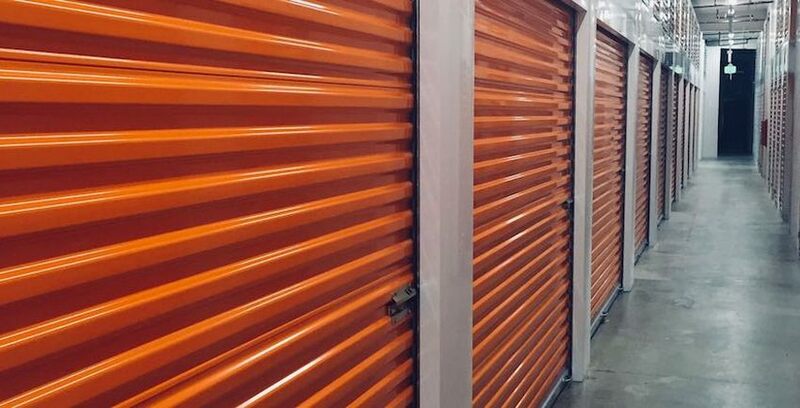 When you get a self storage unit, it’s important to follow the facility’s rules, and perhaps the most important set of rules has to do with what you are and aren’t allowed to store. Your unit will be great for storing all sorts of things, like dishes, books, appliances, furniture, clothes, and more. However, some items can cause real problems for the facility, you, and other tenants. The restrictions are generally related to safety and legality. These are the the sorts of items most commonly prohibited in self storage facilities. When in doubt, ask an employee at yours. Self storage facilities work hard to keep out pests. Many facilities have ongoing contracts with exterminators to prevent infestations. Bugs, spiders, and rodents can cause a lot of damage to your belongings. They’re attracted to food, so perishable foods and open food containers are prohibited. This includes pet food, such as bags of dog food. Fully-sealed canned good are generally fine, but ask to make sure. Do not keep animals or plants in your storage unit. Yes, these can both attract hungry pests. Keeping living animals in a unit is also inhumane and in most places illegal. If you have a pet you need to leave somewhere safe for a day or two, ask a friend to babysit, or contact a pet boarding facility. Do not store toxic, flammable, or otherwise dangerous materials. Flammable and combustible objects include, but are not limited to, gasoline, propane, kerosine, paint, cleaning chemicals, aerosol cans, acids, and fertilizers. If you have firearms you need to store, ask first to make sure it’s okay, and if not, find another place to keep them. Even if a facility does allow you to store legal guns and rifles, all facilities prohibit ammunition. Other items that can wreak havoc if a fire does break out include fireworks and explosives. Items considered hazardous or toxic include biological and bio-medical waste and chemicals or compounds that can get into the air, like asbestos. Of course, most items can burn. Paper, wood, and so on are fine to store. Just avoid the especially flammable and dangerous items mentioned above. Yes, you can store vehicles, but there are rules. You’ll need to keep them in units or spaces specifically designated for vehicle storage. Most places will require that the vehicle be registered, so take care of that before picking a storage facility with RV, car, or motorcycle storage. Keep your car storage legal. If a tenant moves out and leaves tires behind, it can be expensive for the facility to get rid of them. Because of this, many prohibit storing tires that are not part of a vehicle, or the vehicle’s spares. If you have tires to store, ask how many the facility allows, and respect their rules. To clarify, you can store most electrical items such as refrigerators, lamps, computers, and so on. However, the vast majority of facilities do not allow you to plug them in. Most self storage facilities don’t have plugs in their units or hallways, but even if they do, this is rarely allowed. We assume you’re someone who doesn’t steal, but it’s still important to cover this. Stealing is bad enough, but if you put a stolen item in your unit and get caught, not only will you face legal trouble, you’ll probably lose the unit. Don’t store illegal items, either. Depending on where you live, this could include counterfeit currency, non-prescription drugs, and more. Again, you could face serious legal consequences and lose your unit. As you can see, the rules are all reasonable, and now that you know them, you can store everything you really need to with confidence.